Amazon Launched Six New Gadgets, All Priced Under $150 - Take a Look! Amazon Launched Six New Gadgets, All Priced Under $150 – Take a Look! What a time to be alive where one company launches a phone priced at $1000 while the other unveils six new gadgets, all priced under $150. Today, Amazon went berserk with pricing while launching six new devices. The first in the line is Echo Buttons, which is priced at $20 a pair. These little hand buzzers connect to Amazon Echo and act as inputs for Alexa-powered games like Trivia, and more. Amazon is yet to shed more light on the working of these buzzers, but they could be a nice add-on with your Echo device. Then there is Echo Connect, priced at $35. We think the best way to describe this device is that it is a new age communication device. It connects with your Echo and landline to make calls over VoIP. But here is a thing, it works over the internet so if your internet is down then it will just sit idle. Amazon launched not one but two Echo speakers. 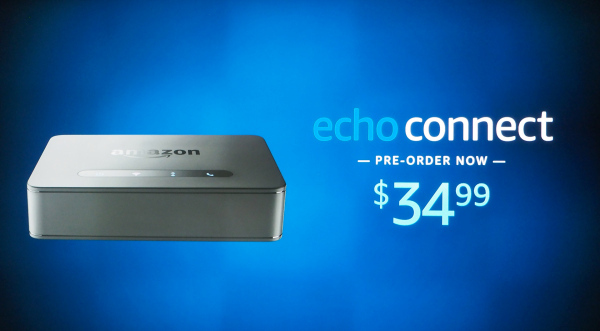 First up is an all-new swanky looking version of Echo, priced at $99, followed by Echo Plus at $150. The $99 cloth-covered swanky Echo is meant to replace the original Echo. 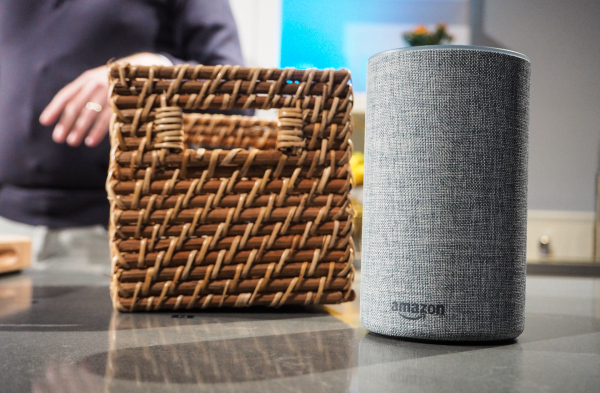 It features a dedicated woofer, tweeter, and Dolby sound, making it rival the $349 Apple HomePod. The cloth-covered body offers it a premium look and a cross between HomePod and Google Home. On the other hand, the $149 Echo Plus borrows a lot from the first-gen original Echo regarding outlook, but with new features on the inside. It is geared with a dedicated smart home hub that acts as a hub for your smart home. Echo Plus eradicates the need for several hubs to run your smart home, with more than 100 partners on board, it will act as the powerhouse for all other smart devices. Speaking of partners, every Echo Plus comes packed with a Philips Hue bulb. A rather smart move to make users try smart lighting. Good on Philips! Then comes a cute looking Echo Spot alarm clock, priced at $130. It looks like a cross between Echo Dot and Echo Show. It is targeted at replacing your old school alarm clock. 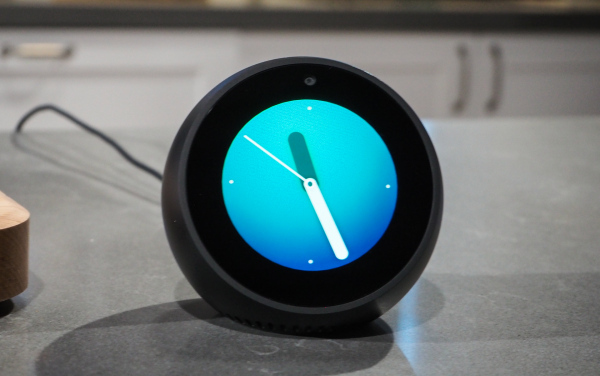 The Echo Spot will be able to do everything that a regular Echo does, but it also supports video-calling, thanks to an inbuilt camera just above its screen. If this cute little smart alarm clock attracts you, then it will be better to keep its lens covered, you know for the sake of privacy (we are trying to be funny here). 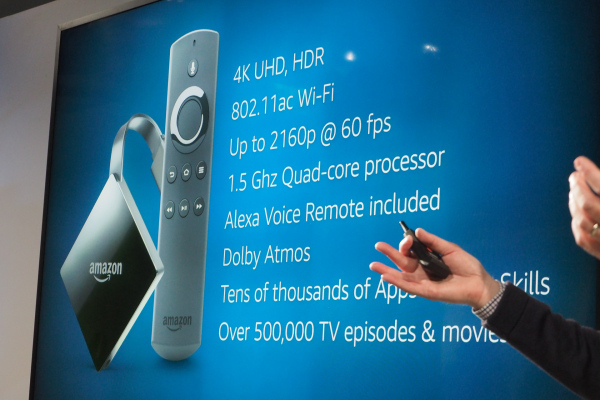 It’s been a while since Amazon upgraded its Fire TV box and today, Amazon unveiled a new Fire TV with 4K capability. It handles 4K video at up to 60fps and comes with a 1.5 GHz quad-core CPU and 802.11ac Wi-Fi. 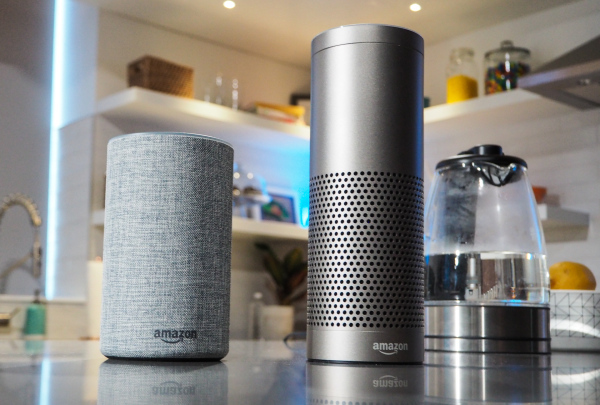 There is also a remote with Alexa voice control support and can also control other connected Echo devices. It has been priced close to Google’s Chromecast Ultra and more than $100 lesser than the Apple TV 4K. Good deal, we say! Lastly, we have the weirdest to come out of today’s announcements by Amazon. 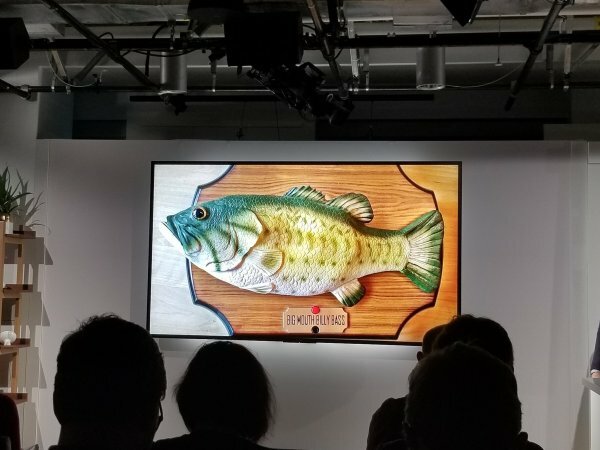 The classic Big Mouth Billy Bass will soon gain compatibility with Amazon’s Alexa. This means that the first will be able to lip sync and dance when paired over Bluetooth. We are not sure if this is what users were looking for, a dancing fish. Amazon says that it will bring an updated Billy later this year. 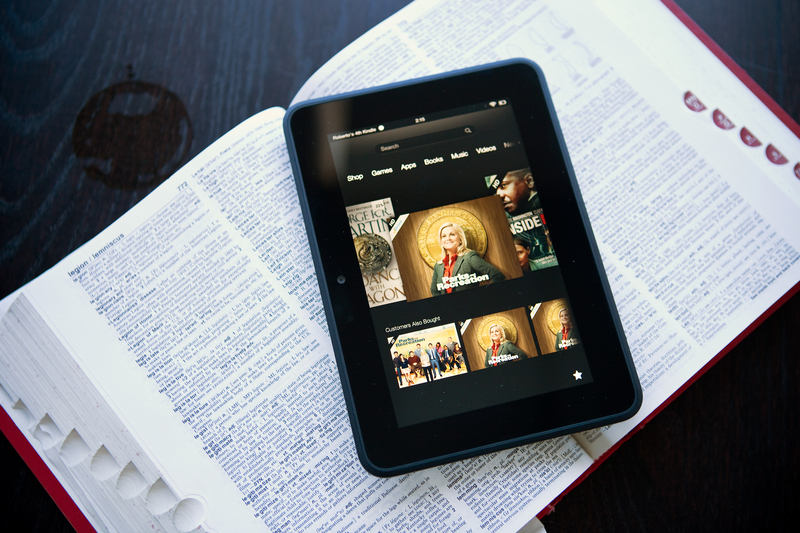 Among the slew of announcements, we did not get to hear about new Kindle e-readers. It’s been more than a year since Amazon updated the Kindle lineup, which is why many were waiting for a new Kindle to show up at the event, but alas, we have no new Kindle. So, what do you think about these new products from Amazon? Share your thoughts with us in the comments section below!